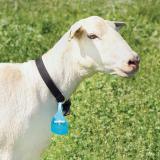 Durable nylon collars for connecting bells (sold separately) to the necks of sheep and goats. 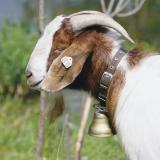 Use with our Steel Bell, Ram/Billy Bell, Swiss Bell or Long Distance Bell. Traditional, Swiss-style, solid brass bell. 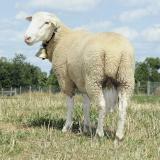 Useful for finding a flock in the timber, brush, large pastures or open range. 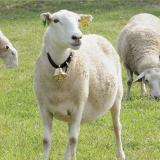 Lightweight bell for ewes and does. Useful for finding animals in the timber, brush, large pastures or open range. Similar in sound to a cow bell. 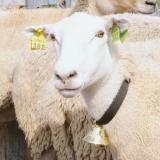 Heavy-duty bell for use on rams or bucks. Useful for finding animals in the timber, brush, large pastures or open range. Good heavy collar with a lot of value. I like that it's got plenty of adjustment so that it doesn't become too tight on the sheep as the wall grows. I can gradually adjusted as needed. Pretty good collar for the price. 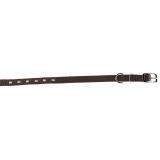 The grommets help prevent dirt/oil from making the buckle hard to use. I really like these collars, they are extremely tough and the metal eyelets make them very easy to put on and the price is great too! 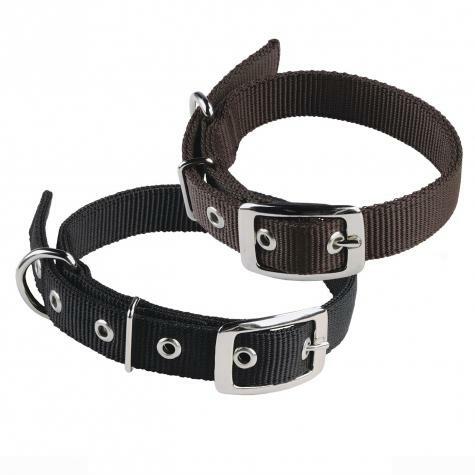 These are great collars for the price. Really were surprised how thick they are. Look like they will hold up for a long time. Will be ordering some more. High quailty very fair price. Go great with the bells!